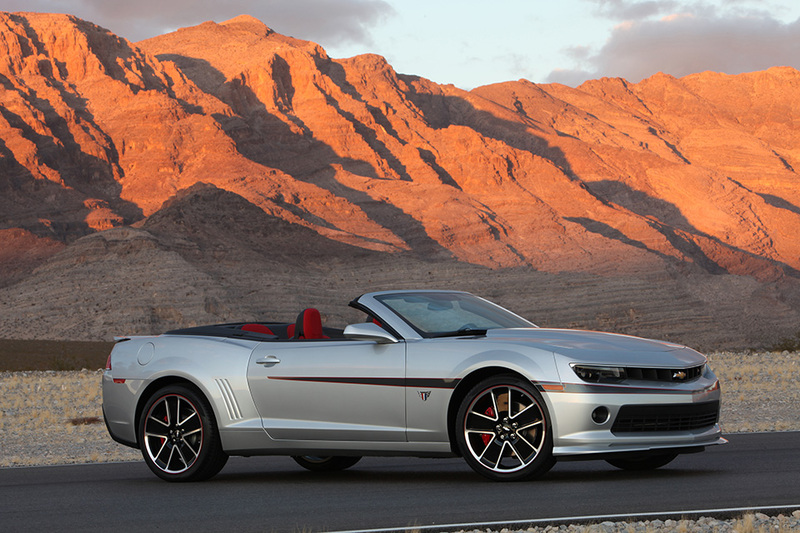 Chevrolet has sold more than 400,000 fifth-generation Camaros since the car first hit showroom floors back in 2009. 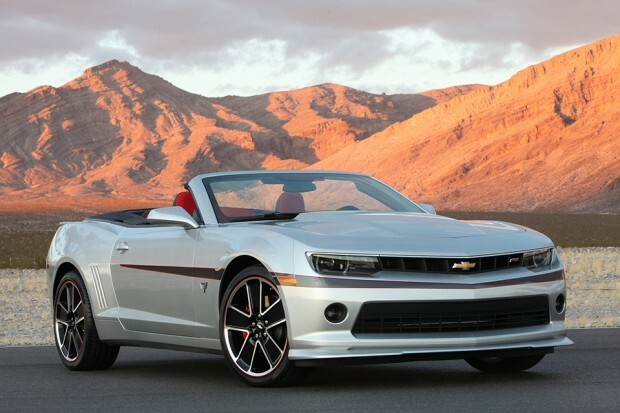 And with the final year of that generation coming in 2015, Chevy is celebrating the end of the model with a special 2015 Camaro Commemorative Edition, which the automaker revealed at SEMA 2014. 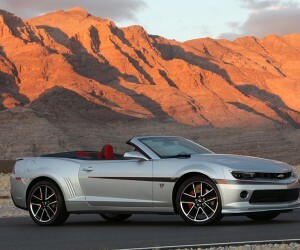 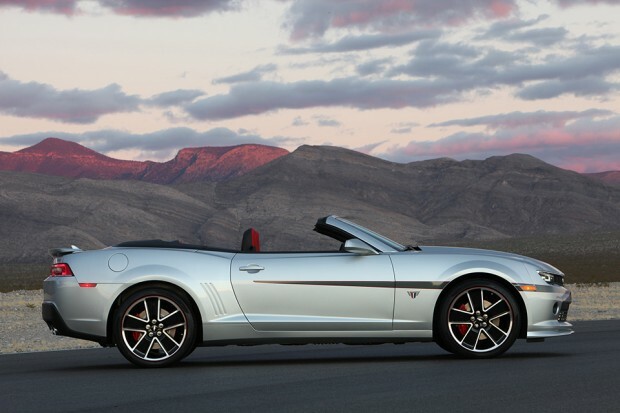 The new package is available on both the 2LT and 2SS coupes and convertibles and includes the Camaro RS package. 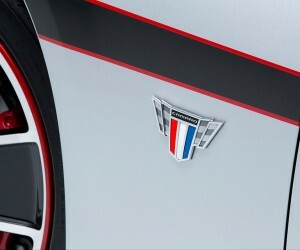 The special edition includes exterior details like unique 20-inch five-spoke wheels, an exclusive body-colored front splitter, a ZL1 rear spoiler, and Commemorative Edition fender emblems. 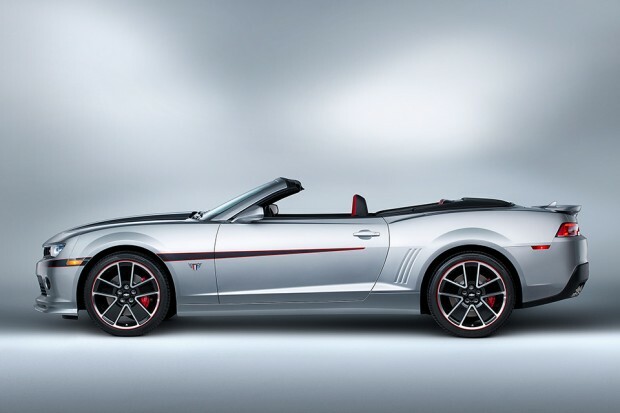 The car is available in five color combinations: Red Hot with black stripe (shown above), Silver Ice Metallic with Cyber Gray stripe (shown in the convertible model below), Black with Cyber Gray stripe, Ashen Gray Metallic with silver stripe, and Summit White with silver stripe. 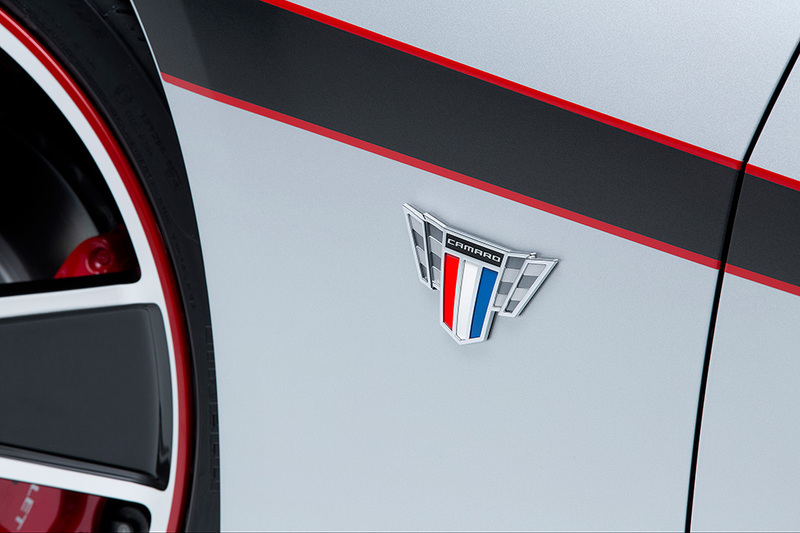 SS models will also come with a body-color hood insert. 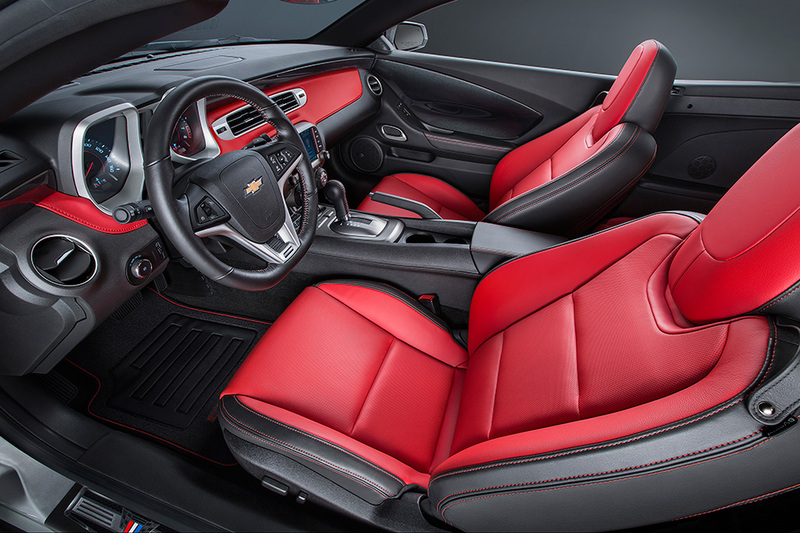 Inside, the Commemorative Edition is done in an exclusive Adrenaline Red, with red and black upholstery, an Adrenaline Red instrument panel insert, and red stitching on the seats, shift knob, steering wheel, shift boot, door trim armrest and center console lid. 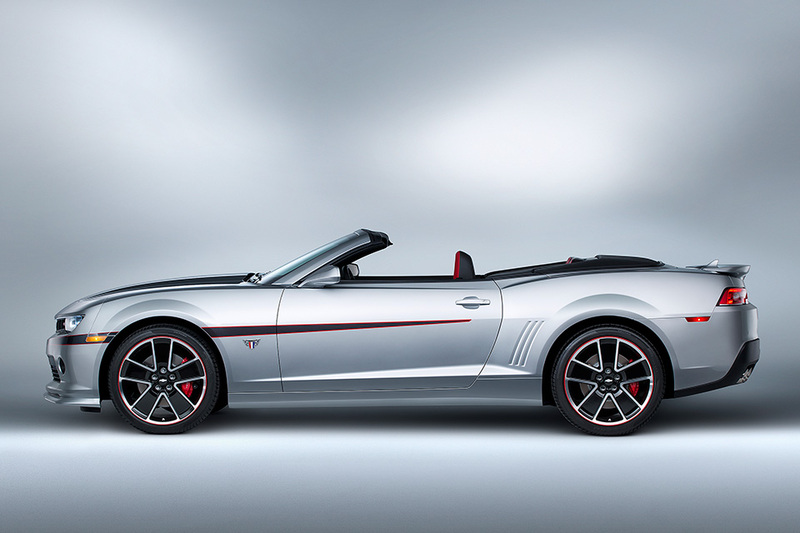 It also has a flat-bottom, leather-wrapped steering wheel and Commemorative Edition sill plates. 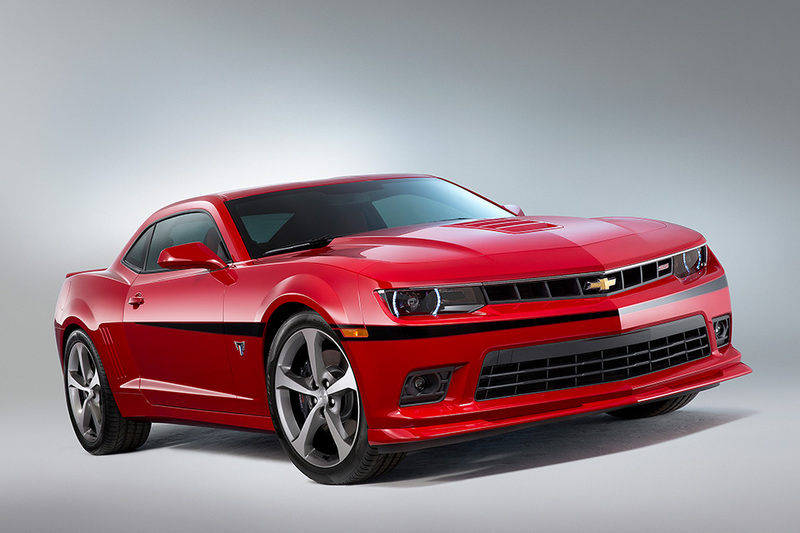 The 2015 Camaro Commemorative Edition will go on sale in the spring of 2015.